I'm getting ready to host our annual 4th of July barbeque this week, which has been dramatically scaled back this year due to my grandma's health. Still, it's going to be a fun day with yummy food and lots of fun. I got it in my head that I wanted to put decorated lights around the patio. I blame Pinterest. 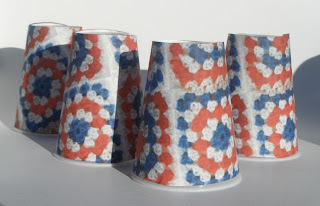 I saw this and this and decided to mash them together to make crochet-paper-covered lights. Cute idea, right? I was planning to pull out our Christmas tree lights and make them all crochet-y and festive. This is how far I got. But I'd already made 4 covers, which now seemed like a huge waste of energy, until I thought "Duh, flip them back over!" 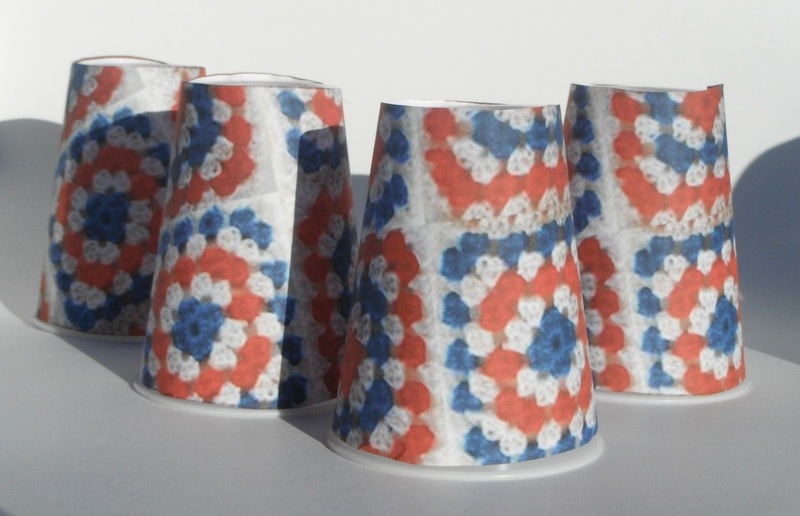 The lampshades were made from cups, so why couldn't I just use them as festive party cups?! Done! And while I was at it, why not make matching plates? So I did. 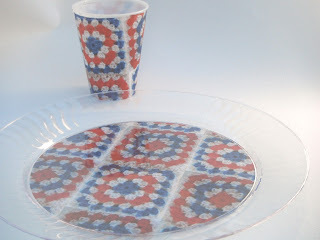 I just cut out a circle that fit the bottom of my plate (disposable clear Chinet that I got on sale at Target), and then taped it the paper to the bottom of the plate! 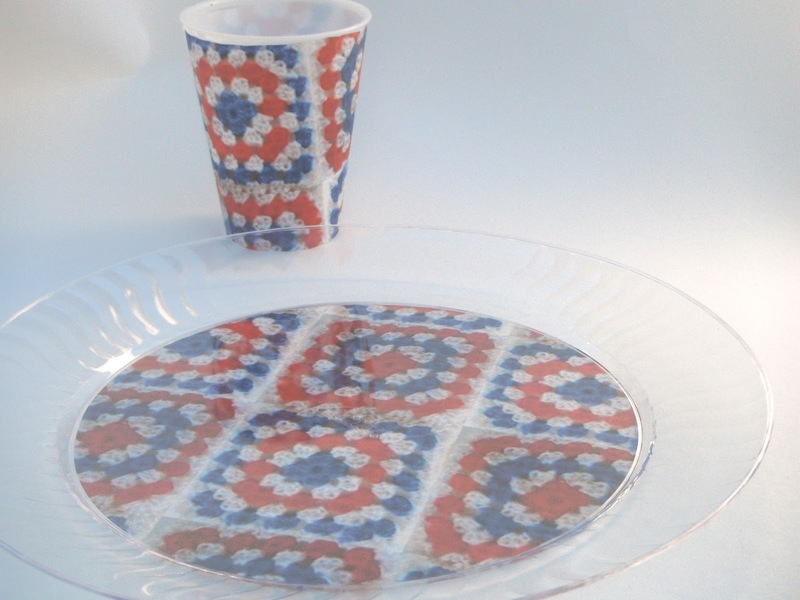 I think this would look super cute for bringing cookies to a party, and who cares about the plate afterward. I'm already thinking of doing this again in red and cream to use at Christmas. Great idea. I do crochet and don't like to spend a lot of money for crafting. Your blog is full of ideas.